Why Is Your Scalp Itching Like Crazy? 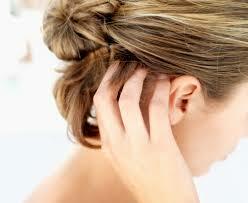 It often starts with a little irritation only, but soon you notice your scalp itching like hell. Many people know they should not scratch hard, so they often pat that itchy spot to minimize the irritation. This usually proves ineffective, as the itch continues to become stronger and stronger. Before long, you are left with an extremely irritated scalp. Why does it happen? What makes you deal with a constantly itchy scalp? What can you do about it? Let's find out now! It is never easy to deal with a constantly itchy scalp, and it often results in flaking that looks quite unattractive. So many things can cause an itchy scalp, but there are also ways to solve the problem. Simple remedies usually work great, unless you have a medical issue causing an itchy scalp. Here are some of the reasons why you may end up having an irritated and itchy scalp. Hairstyles such as braids, cornrows, and flat twists can cause itchiness, as you need to pull your hair tightly to get these hairstyles. Some women use synthetic hair to get these hairstyles, but it can also cause irritation in the scalp. Do not pull your hair too tight and you may notice some immediate relief. Sometimes, your itching is due to a product you may be using on your hair. This is especially true if you know you are allergic to a particular ingredient, but you do not know if your selected product contains that or not. Pay attention to the labels and consider changing the product if your itching started after using a new product. This could be the reason why you have your scalp itching like crazy. They are more common in schoolchildren, but anyone can have this issue. Look closely and see if you can locate any tiny nit attached to your hair. These eggs look quite like dandruff, but you cannot shake them off because they 'cling' to your hair shaft. When your problem is quite severe, you may also be able to see adult lice in your hair. You can make use of OTC shampoos that contain permethrin or pyrethrin to get rid of head lice. Be sure to follow all the instructions on the box to get good results. Excessive hair washing or use of products with chemicals can cause your scalp dry and irritated. Other factors, such as stress, diet, and hormone imbalance can also play a role here. Consider massaging your scalp to help stimulate oil production – you can use jojoba oil to massage your scalp. Commonly known as ringworm, this fungal infection can also cause an itchy scalp. You may even develop round patches of hair loss when the infection extends into the hair follicle. Those patches continue to increase in size unless you do something to clear the infection. You can find OTC antifungal formulations to help clear the infection. It is important to take oral anti-fungal medications as well because the infection is usually deep in the hair follicle and regular antifungal shampoos or formulations may not always prove effective. This chronic autoimmune disease causes red, scaly patches on your scalp or skin. What causes this skin condition is not clear yet, but you are at an increased risk of getting it if someone in your family has it. You may consider using OTC medicated shampoos to resolve the issue. Opt for a shampoo that contains salicylic acid or coal tar. If you notice no change in your condition, talk to your doctor to get some stronger cortisone or shampoos to treat the problem. You will experience itching and flaking when you have dandruff or seborrheic dermatitis. An overgrowth of yeast would trigger an inflammatory response in the body, which makes you have your scalp itching like crazy. An OTC shampoo containing zinc pyrithione or selenium usually works great to treat mild cases of dandruff. You may have to use a prescription-strength antifungal shampoo, medicated foam, topical cortisone, or some sort of medicated ointment to treat serious cases of seborrheic dermatitis. Identifying the underlying cause of itching really helps determine the best treatment option, but you can always try some natural remedies to improve your condition. Here are some options. Apple cider vinegar (ACV) has antiseptic properties and works as an anti-frizz agent by balancing the pH levels of your hair. It also has antifungal properties, so it's effective against dandruff and a number of other skin conditions caused by fungal infections. 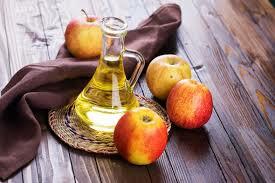 Make a mixture by combining one part of ACV and two parts of water and clean your scalp with it daily. 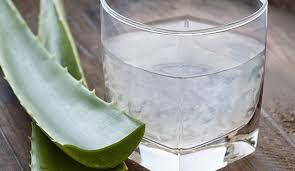 Aloe Vera juice has anti-inflammatory properties and is therefore quite effective in the treatment of an itchy scalp. Its regular use also promotes hair growth and proves effective against eczema, dandruff, and psoriasis. Simply take some pure Aloe Vera juice and apply it directly to your scalp to relieve itching. It is a common ingredient found in shampoos that helps treat dandruff and other skin conditions. It has antiseptic properties that make it effective against fungal, viral, and bacterial infections. 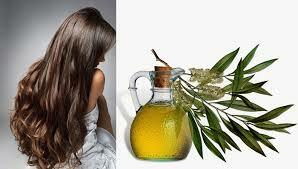 Just dilute some tea tree oil and apply it directly to your scalp for relief. 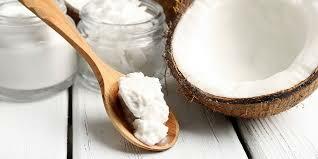 Coconut oil contains Caprylic acid, which has antifungal properties. Many products designed to suppress an overgrowth of candida also contain coconut oil mainly because of its Caprylic acid content. You can also use it if you feel your scalp itching like crazy. Just be sure to use unrefined, unfiltered, organic extra-virgin coconut oil to get good results. You can infuse it with tea tree oil to maximize its benefits. You have used OTC shampoos and they have not worked at all. Your itching interferes with the quality of your sleep. You have nits or lice in your hair. You have itchy spots that are sore to the touch. You should always ask your dermatologist for advice when you have a persistent itchy scalp. They will check carefully and ask about other symptoms to ensure that no medical condition is behind the issue.